In a film about terrorism and espionage agents, visuals are par for the course. It’s such small, effective moments that make me feel quite fondly about the Vishwaroopam films, and despondently about Tamil cinema without Kamal Haasan, the director. As you can imagine, there’s plenty of explosion in Vishwaroopam 2. The one that most impacted me though isn’t one of bombs and bazookas; it’s of emotion. Perhaps it helps that the scene in question features two terrific actors, Kamal Haasan and Waheeda Rehman. After a gap, Wisam is meeting his lonely mother who’s battling Alzheimer’s. It’s incredible how Kamal sells multiple emotions at once - guilt at not being able to tend to her, sadness about her waning health, and effusive love for the woman who means so much to him. The scene had me bawling. Egging on with relish is Ghibran’s beautiful "Naanagiya Nadhimoolame" in the background. The visuals gracefully shift to an undefined time in the past when Wisam’s mother is young, graceful and beautiful, and training him in Kathak. It’s a lovely touch that till the end, Wisam’s mother doesn’t ever learn of his identity - despite numerous tempting scenes in which Kamal Haasan could have easily exploited this angle for more emotion. This whole stretch is an unexpected onslaught. Onslaughts - of the more physical variety - are naturally a more prominent feature in an action film like Vishwaroopam 2. This plays right into Kamal’s unabashed relish for shooting violence, and you get quite a few impactful visuals - memorable, if you’re like me, and revolting, if you’re not. A man’s neck gushing blood, as he gasps for breath. A bullet piercing Wisam’s chest as he’s seemingly out of danger. A severed head. A man being impaled on spikes. A fatal punch to a man’s throat. Rahul Bose and Kamal Haasan in Vishwaroopam 2. A man’s brain splattered on glass, as the blood drips to form the shape of India’s borders. I haven’t covered the half of it. In a film about terrorism and espionage agents, these visuals are par for the course. This is less about romanticising violence than about establishing authenticity. In a scene, a bunch of children are lined up for rescue, and without warning, a man, of their own kind, suddenly pumps bullets into them. It truly drums in the tragedy of how faith-based propaganda has dehumanised communities. It’s why the villain, Omar, can never understand his family’s reluctance to follow in his footsteps. I also share some fondness towards the Viswaroopam films for their depiction of women. 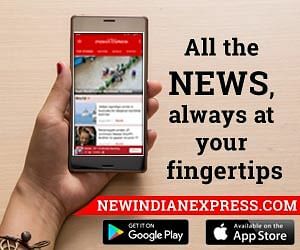 You have the obvious strong-women candidates in Nirupama (Pooja Kumar) and Ashmita (Andrea). I only wish Nirupama had had a biting question or two to ask of Wisam’s longstanding disguise, and his eavesdropping of her counselling sessions. She’s a tad too apologetic of her mistakes, while Wisam’s a tad too self-righteous about his own manipulation of her. This film tells you a bit more about what Ashmita’s prepared to do for the sake of duty. Strength isn’t just in these educated, liberated women; it’s also in someone like Omar’s wife, who despite potent threats, is prepared to do whatever it takes to get her children educated. Kamal summarises this with the visual of alphabet getting written on mud with a bullet. Among Omar’s weaknesses is his contempt for women. When Wisam tentatively suggests that the children be allowed education, he’s quick to retort, “Pombalainga madhri pesaadha. Pombalainga kooda jaasthi pesaadha.” It’s natural then that the men of his clan are violent and barbaric - how else can a society that’s suppressive of women be? It also harks back to a scene from the first film that shows Omar entering his home to see a female doctor tending to his sick wife. His first concern isn’t about his wife’s health; it’s about a woman being the doctor, and about how she’s not covered from head to toe. Wisam, the hero, is a man cut of a different cloth. It’s most evident in this film when a man offers to join him on a dangerous mission, and he rejects it: “Pombalainga irukaanga. Avanga podhum.” And why wouldn’t he say that given he knows how Ashmita can kick a**? Kamal Haasan is perhaps the best Tamil director out there, when it comes to orchestrating stunt sequences featuring women. He did it with Trisha in Thoongavanam (2015), and now, he’s done it with Andrea Jeremiah. I dare say that Vishwaroopam 2 is better seen as a completion of the first film than as a continuation. Kamal Haasan may have assured that this film can be watched on its own merits, but the truth is, it’s better consumed as a bunch of jigsaw pieces that join to make the first film become a coherent whole. In unison, both films become better. 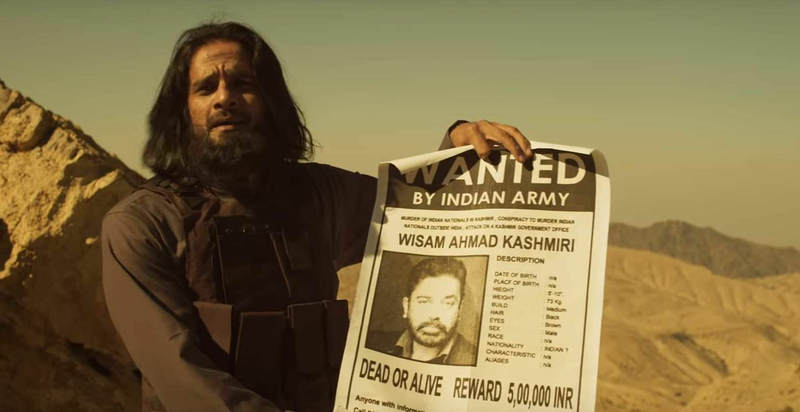 Vishwaroopam 2 helps fill up numerous blanks, including the Osama meeting, the discovery of the tracking device from the US (“Sam uncle”, as it’s said in this film), and the crucial NATO strike. In that sense, it’s not incorrect to see the five years between Vishwaroopam 1 and Vishwaroopam 2 as being perhaps the longest interval in Tamil cinema history. While the first film’s action sequences were mainly set in the outdoors, here, there are quite a few that occur in congested spaces - like one that takes place in a small room whose properties, like the wash basin, become props. The flashiest action sequence - hardly the film’s best - takes place underwater. Perhaps in being too fervent, Kamal Haasan dwells on this far longer than he should have. In hindsight, I wish Omar and co had been injected with more purpose. They fail in the US, and head to the UK. They fail there, and then head to India. A cursory justification - “the second largest democracy” - doesn’t quite seem enough. Vishwaroopam 2 also has the overused women-getting-kidnapped angle, even if Kamal Haasan draws a shocking visual from it. Also, love or hate it, wordplay will always be a feature of Kamal’s films. A character says, “Naalezhuthu padichirkel”, and another responds, “Naala? PhD moonu dhaane?” It didn’t work for me at all. In a later scene though, two senior officers are discussing Wisam’s newfound affinity for his wife. One of them quips, “RAW na Receptions and Weddings illa.” This totally worked for me. Much like in many other Kamal films, here too, the wordplay ranges from laboured to lovely. And of course, there’s his affinity for American accent that’s become an integral, er, quirk. Here though, Wisam has been in the US for a while, and so, it’s more easily digestible. 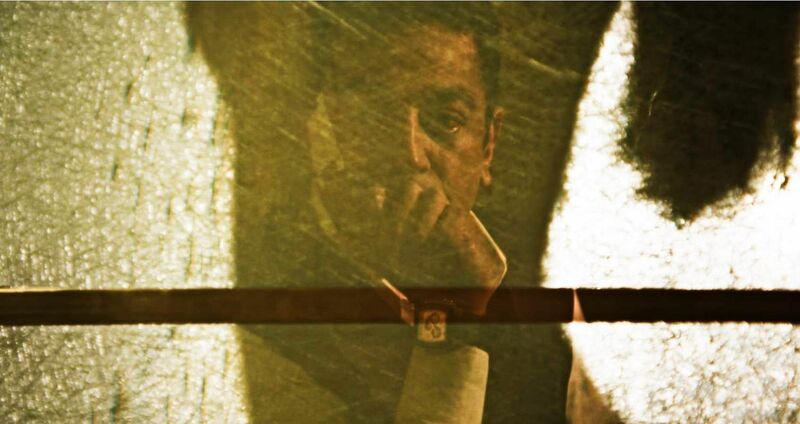 The Vishwaroopam films’ biggest strength is how they present opposing perspectives, with great earnestness. The good people are convinced they’re good. The bad people are convinced they are good too. One of Omar’s lackeys is convinced that Wisam is headed to hell, and so are his wife and mother. Omar himself once declares, “Nee saaga bayapadra dhrogi. Naan sandhoshama saagara jihadi.” It’s this almost-gleeful desire for death that’s truly scary about Omar’s clan, and it comes from their conviction that there’s an afterlife, that they will be received with fanfare in heaven. How do you fight this? 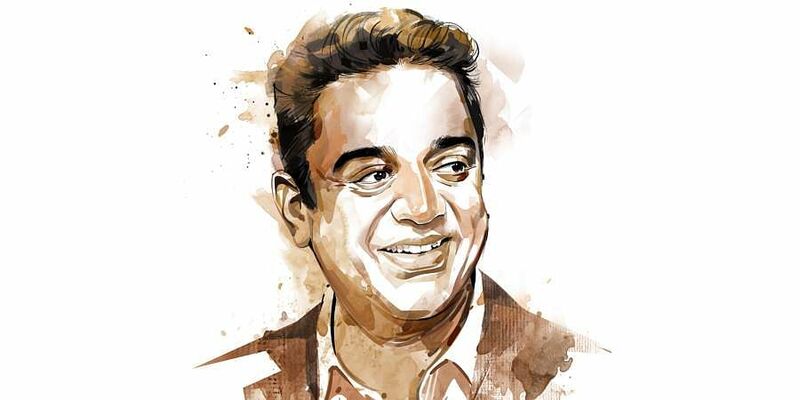 It’s ironical then that a film that shows us how dangerous propaganda is, begins with propaganda: A featurette of Makkal Needhi Maiyam and Kamal Haasan. For a fleeting minute, I wondered if Kamal had somehow integrated it into the film, against all odds. 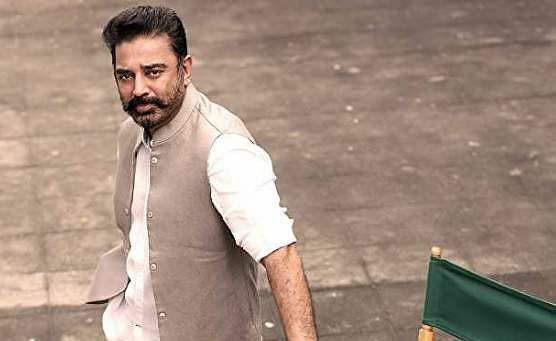 The video’s also a gloomy reminder that Vishwaroopam 2 takes us one step closer to Kamal’s self-proclaimed departure from cinema. His talents as a performer are well-appreciated, but there are moments in this film that show the gaping void he will be leaving behind as a writer-director. In a scene, one of Omar’s men comes to threaten Wisam with dire straits and begins to get soundly thumped. He takes it all quietly though and suffers the pain, because he knows Omar has already destroyed something that Wisam holds dearly. These punches don’t matter; Omar has already landed the winning punch.